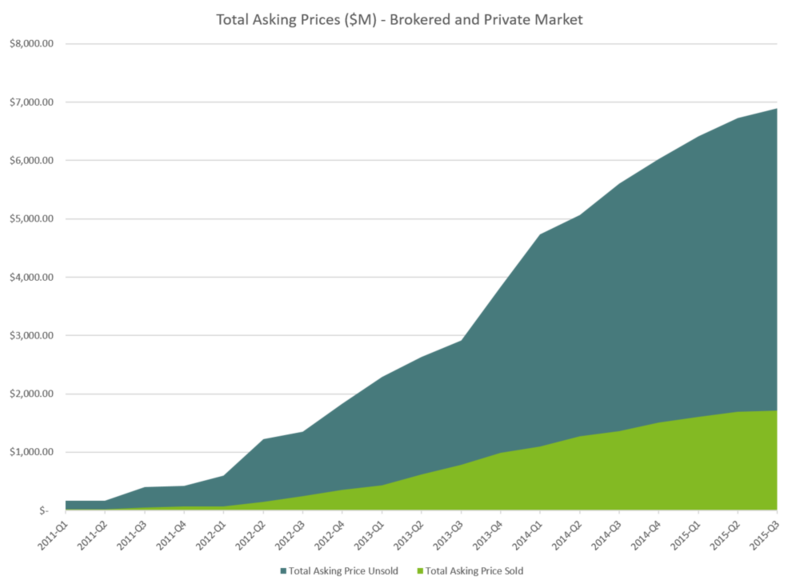 Bloomberg/BNA has begun publishing the ROL Group data on the brokered patent market. This information brings much needed transparency to the market for buying and selling patents and we are glad to be able to help. 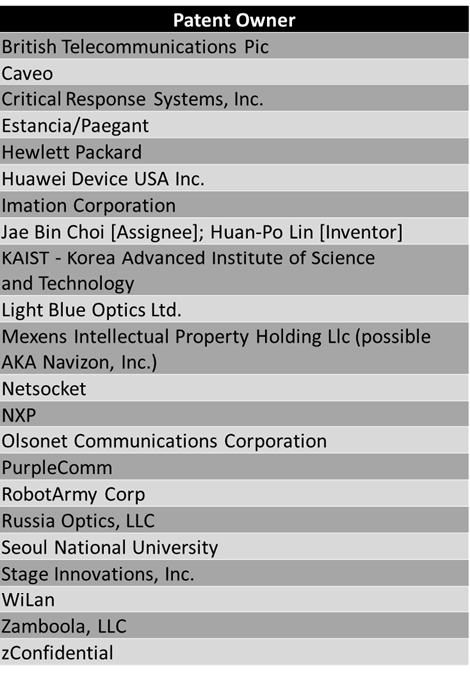 “Companies such as Panasonic Corp., Intel Corp., Huawei Technologies Co. Ltd. and Korea Telecom used the brokered patent market to adjust their patent portfolios in the first quarter of the year, according to data provided to Bloomberg BNA by Richardson Oliver Law Group LLP. Yahoo’s Patent Portfolio – What Is the Market Price Today? Business Insider reports that Yahoo’s patent portfolio could generate up to $3B. We disagree and we use data to show why. With an estimated street price of $772M (high of $1.15B, a low of $393M), Yahoo has a valuable asset, just not a $3B asset. We often see patent prices stated without any data to back up the analysis. We think this needs to change. Below, we show how a quick analysis of Yahoo’s portfolio and the patent market leads to some bounds on the street price of the patents. Our latest paper on Intellectual Ventures has been published in IAM Magazine (Issue #77). We look at how IV’s strategy has shifted, how to reduce your risk of exposure to their portfolio, and what the future might hold for them. Our paper is available for download here. “The cover story this time around focuses on Intellectual Ventures. For many years, the firm kept its cards close to its chest – rarely speaking to the press, even more rarely discussing its business model and never, ever revealing the identities of its investors – but these days it is probably one of the most transparent operators out there. Helped our clients by and sell more than $65M in patent assets. We have sourced, filtered, diligenced, built financial models for, and closed deals for thousands of patents. Created the first data-driven report on the brokered patent market. We reported on who was selling patents, who was buying patents, what the prices were and how to improve your strategies. Now, we publish an annual report cited by others in the industry and academics. Built a database and operations to track and analyze patent deals in excess of $7B across more than 60,000 patents and 2,200 patent deals. Designed first of their kind tools for world-class technology companies to help them value, analyze, and process patent deals. Successfully negotiated away more than $500M in patent assertion liability. Helped our clients find solutions to challenges in litigation, trademarks, licensing, patent monetization, and patent valuation. Developed an interesting and fun place to work. We look forward to the next seven years and beyond. Thank you again! Our Q3 sales analysis shows a slowing in patent purchases. The first half sales were 139% of 2014 sales, suggesting a big year for sales. Q3 shows a slowdown matching Q3 2014. We have seen Q3 slowdowns before, but this slowdown misses the first half 2015 sales boost. In Q3, we saw 24 sales compared with 25 sales for the same period last year. Q4 will tell us whether the first half of 2015 was an anomaly. At the ROL Group, we track the available and sold patent packages on the brokered patent market. Our proprietary database includes over 2,200 patent packages representing more than 60,000 patent assets and more than $7B in potential patent sales. 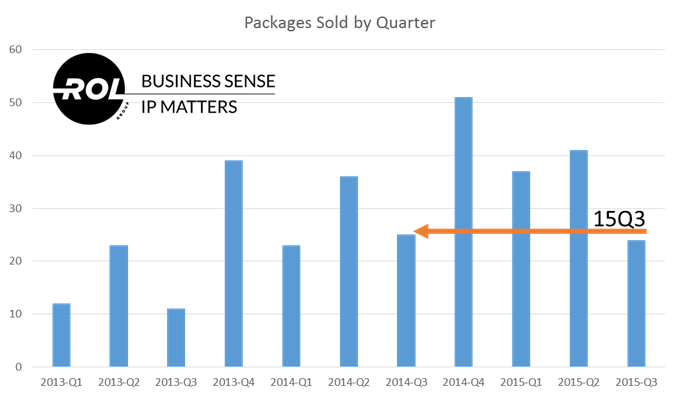 We analyze the USPTO assignment database each quarter to identify sales of unsold packages from the past few years. Patent sellers continue to be primarily high technology companies and NPEs. The data does not show a strong corporate sellers preference to not sell to NPEs. 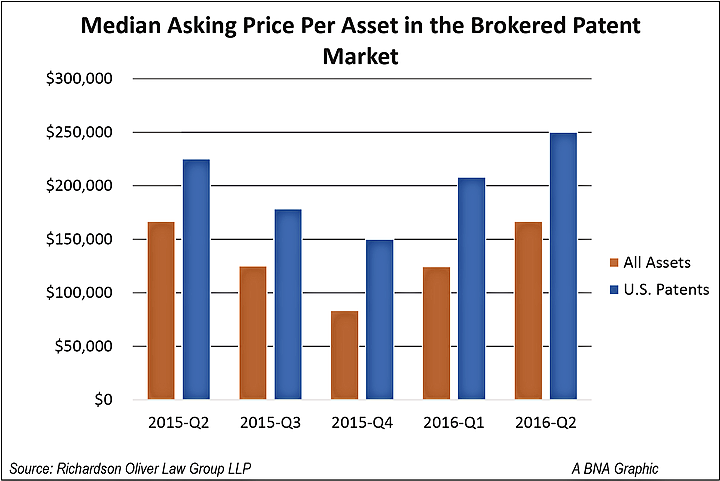 In Q3, sellers had greater success with portfolios having multiple assets. Although a couple larger transactions skewed the average to 33 assets per sold portfolio, there were few smaller packages; 25% of the packages had less than 5 assets. Anecdotally we have had brokers tell us that selling smaller packages is getting too difficult and that they continually seek larger patent packages to broker. Sellers came from NPEs and corporates. With the split of HP, these may be the last sales we see as a unified company – it will be interesting to see how each new HP business pursues its own patent buying and selling path. Patent purchases split between corporations, defensive aggregators, and NPEs with Intellectual Ventures picking up the largest number of assets and at the top of the deal count list. Intel, Google and Sony all picked up patents this quarter. Absent from the list is Apple who appears not to be a significant buyer in the brokered patent market. Asking prices are down ~$50K, but not by as much as you would have thought. The Alice decision has killed the sales rates (the percentage of packages sold) for business processes patents but has had much less of an effect on software patents. Patents with EOUs (light claim charts) have higher asking prices (+$50K) and selling rates. 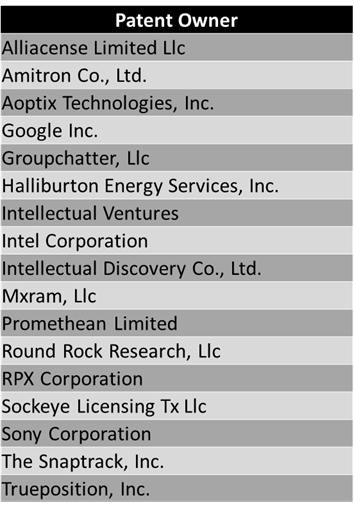 We sized the market at about $230M in closed patent transactions. Additionally, we show the total asking price of deals we track has grown over time to almost $7B. The graph below includes both brokered and private deals in our database of over 2200 patent packages with over 64,000 patent assets.